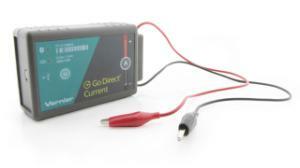 The Go Direct Current Probe measures the electric currents in circuits. Simplify your experimental setup with the Go Direct Current Probe. It connects wirelessly via Bluetooth® or wired via USB to your device. The wireless connection eliminates additional cables that can clutter the lab bench.